The surge in availability of cloud-based platforms has made it possible, only in recent years, for major employers to devote hundreds of teams to thousands of software issues. No longer does a corporation have to create its own platform. It can adopt a platform that already exists, and build services that work with it. It’s this philosophy that has enabled Comcast to employ over 1,500 software developers, with 12,000 cloud-native application instances deployed on nine cloud environments including both private and public cloud infrastructure, according to Greg Otto, Comcast’s Executive Director for Cloud Services. The move to this point started around 2013, remarked Otto, when Comcast’s leaders came to the realization that its legacy back-office applications were having a negative impact on their business. Billing, customer management, and order entry were running on 30-year-old mainframes. Over the next several years, he said, his company would systematically decompose its monolithic legacy apps into an extensive microservices model, and then began migrating to that model on a service-by-service basis. 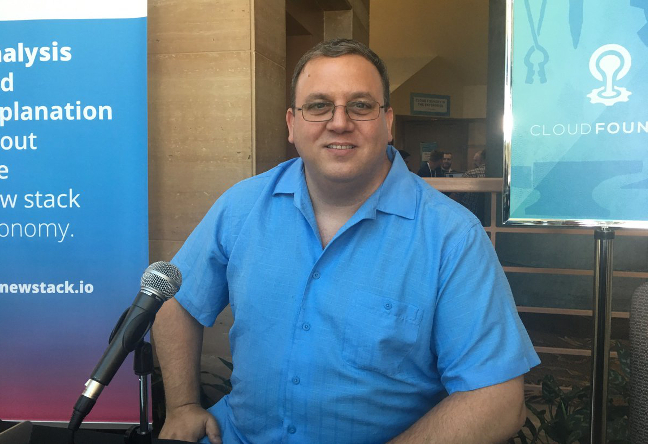 Learn more about how Comcast built its bridge to the 21st century just in time in the latest edition of The New Stack Makers podcast, from the recent Cloud Foundry Summit in Santa Clara. 0:54: Otto’s role at Comcast and how it is involved with Cloud Foundry. 5:13: Comcast’s journey with Cloud Foundry through the years. 7:30: How Comcast adopted microservices, agile development practices and broke down its monolith. 12:07: The API infrastructures Comcast has been building. 14:41: How Comcast approached developing new services to meet customer and business demands. 20:37: The CI/CD use cases Otto is seeing for Cloud Foundry. The Cloud Foundry Foundation is a sponsor of The New Stack.